This entry was posted in antichi mestieri, Napoli-gallery, Photo and tagged bancarelle, lungomare. Bookmark the permalink. Lo vorrei per il mio matrimonio. Qualcuno sa dirmi chi posso contattare per avere un carrettino della limonata a Rimini??? I read this article and found it very interesting, thought it might be something for you. 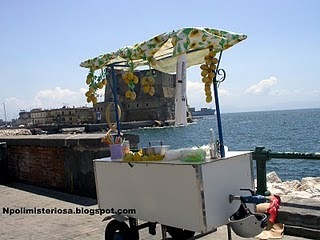 The article is called carrettino con limonata and is located at http://napolimisteriosa.altervista.org/carrettino-con-limonata/.